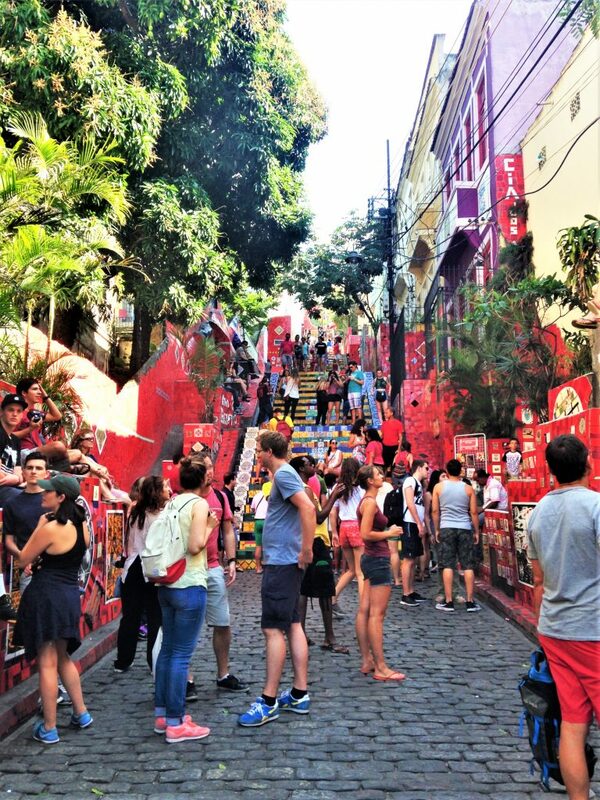 Lapa is known as Rio de Janeiro’s late night district, or the “Montmartre Carioca,” boasting clubs and bars playing house and various forms of Brazilian music, from samba to baile funk, which originated in the favelas. 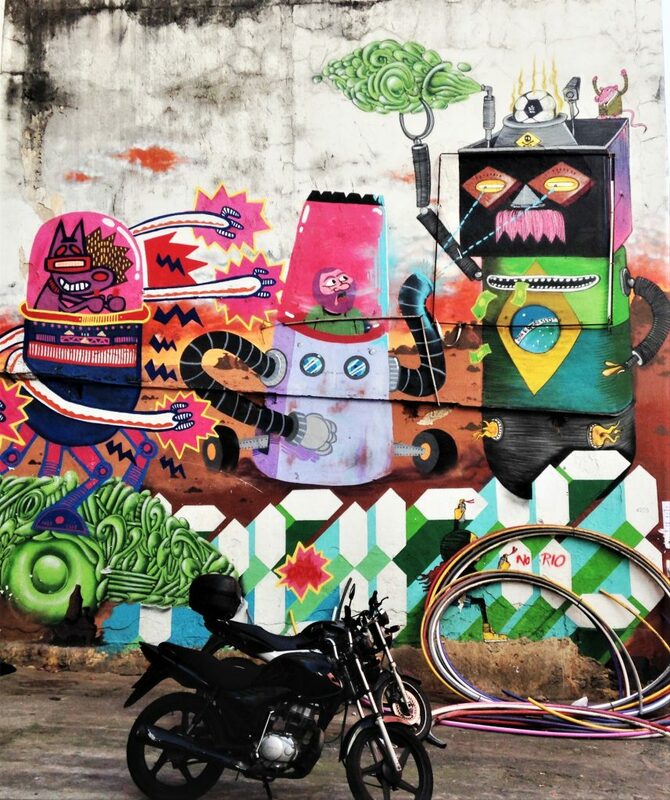 The streets are lined with restaurants and street food, and on the weekend, they become flooded with throngs of pleasure seekers, when Rio’s vibrant, colorful character is on full display. I was traveling to Rio by myself, so I didn’t spend much time out in the neighborhood at night, but I did get a chance to visit during the day when you can expect a much different face of the popular quarter. 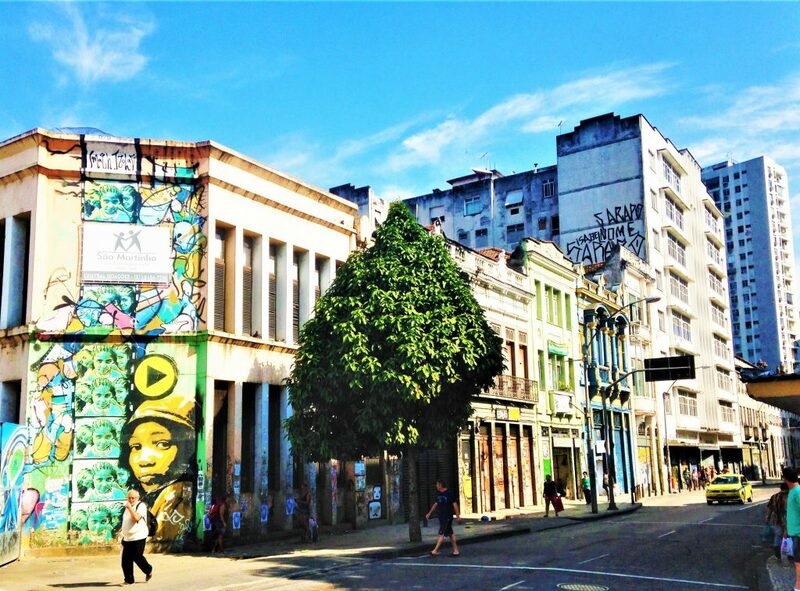 Three things stand out about Lapa immediately when you visit during the day: the graffiti, Old World architecture, and, of course, the Arches. The Old World architectural influence is everywhere as you look up and down the streets, which become much quieter in daylight. Although you’re in South America, the city’s Portuguese colonial past is ever present and you almost feel like you are walking the streets of Lisbon. The partygoers are replaced by residents, mostly working class, and the cafes and restaurants serve more traditional fare. 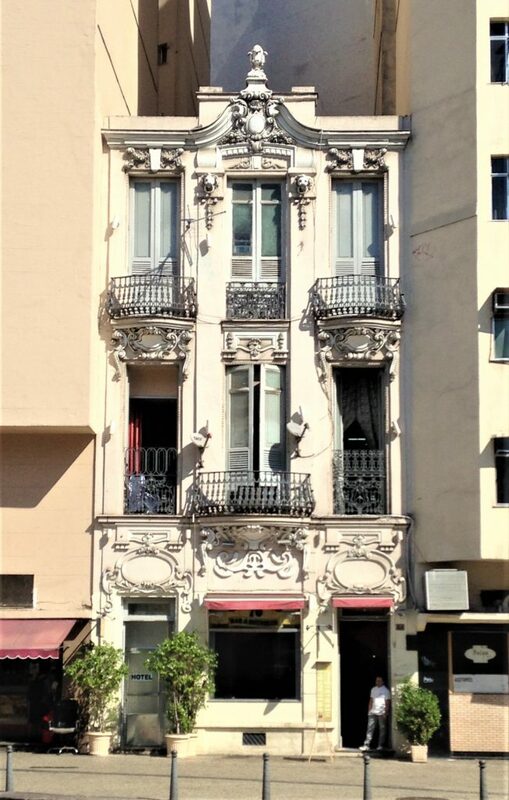 One such restaurant, Nova Capela, was first established at another location in 1923 before moving to its current location on Avenida Mem de Sá. A traditional establishment, Nova Capela’s most famous dish is their roasted goat, which is actually lamb, but they have kept the name for historical reasons. As many on TripAdvisor note, this restaurant is on the Eat Rio food tour where you will sample their bolinhos de bacalhau (salted cod balls) with suco de abacaxi com hortelã (pineapple and mint juice). I have to admit that the graffiti fascinated me more than anything else in this neighborhood, and it told a story in the way graffiti does not in other places. 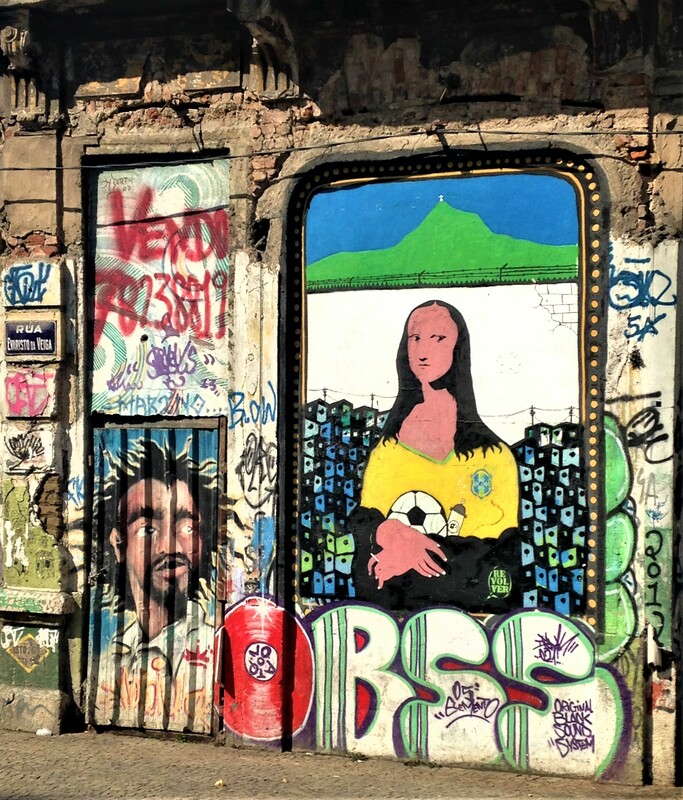 One clear theme in the graffiti around Lapa is the conflicting emotions surrounding the World Cup. As much as Brazil loves football, the commentary evident in the graffiti in the neighborhoods was not overwhelmingly positive. The artists were at once proud of the honor but disgusted by the allocation of funds when so many of the city’s residents were still living in poverty and necessary infrastructure projects were going unfunded. Other stories told by the graffiti in this area relate to the history of the neighborhood. One example is that of the legendary malandro, who is represented by a dark character, dressed in stylish clothing from the 1930s, his face often covered by a Panama hat. 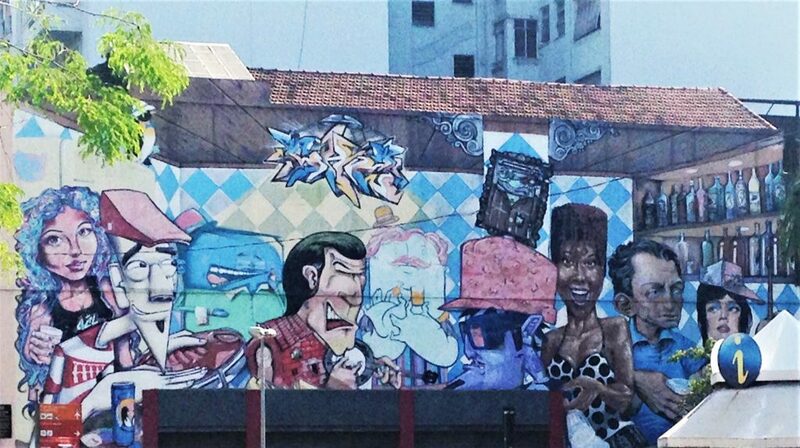 The origin of the malandro stemmed from a time in the history of Lapa when the district had a seedier reputation and was populated with cabarets and brothels. The malandro represents, at once, a cool, suave character but also a con-artist, someone who was firmly entrenched in the criminal, and sometimes violent, underbelly of the neighborhood. 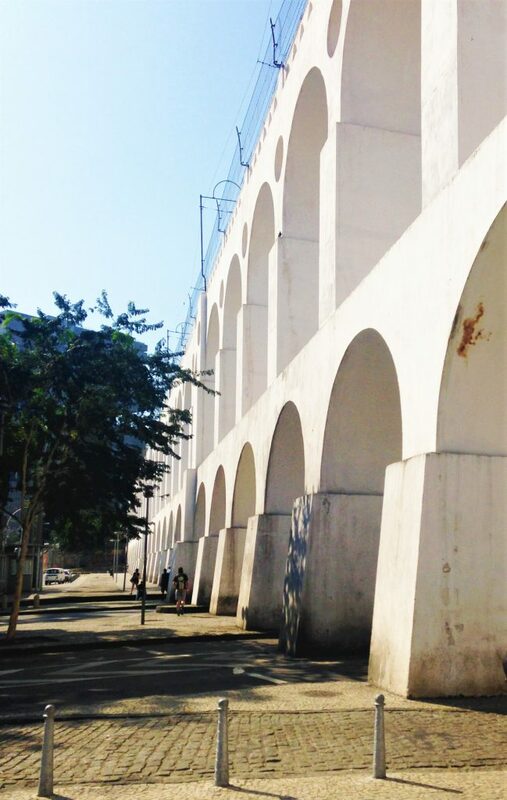 The history of the Carioca aquaduct, Arcos da Lapa, parallels that of the neighborhood itself. In 1723, on the order of colonial authorities, the aqueduct was built by slaves to lead water from the Carioca River in Santa Teresa to Morro de Santo Antonio. There are 42 arches in the structure, which measures 17.6 m in height. The aqueduct, however, was never used for its original purpose; instead, it was transformed into a tramway in 1877, becoming electric in 1896, and serving to connect the city center to Santa Teresa. The Santa Teresa tram, or “bonde” as it is known in Portuguese, shut down in 2011 after a derailment that killed 6 people and injured over 50 others. It was first set to reopen in 2013 but first saw rail activity again in July of 2015. 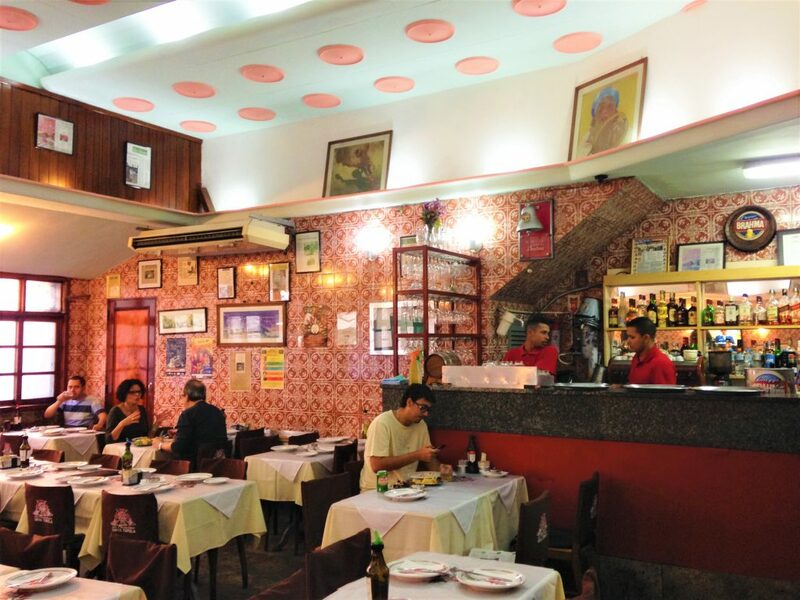 Carioca de Gema (yolk of the egg) – serves food and was one of the first places to return samba to Lapa. Rio Scenarium – a multi-level club filled with antiques and the most popular bar in Lapa. Circo Voador – a semi-outdoor venue near Arcos playing mostly electronica. Asa Branca Bar – plays Brazilian forró music. Fundição Progresso – originally a metal factory, this large venue is great for live music. Escadaria Selarón – the iconic mosaic tile steps of Rio. Passeio Público – oldest public park in Brazil, built in the 1780s. 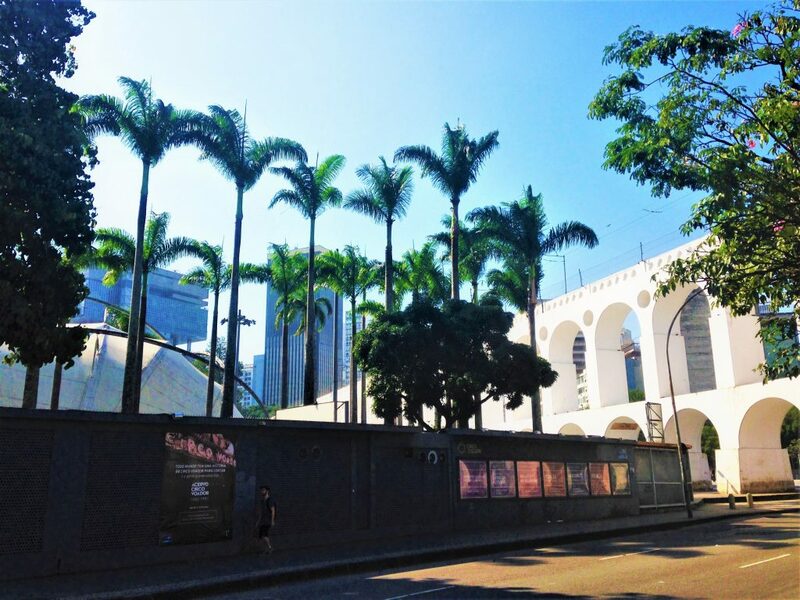 Sala Cecilia Meireles – a theater known for chamber music named in memory of Brazilian poet and journalist Cecilia Meireles. Metropolitan Cathedral – built from 1964-1979, this cathedral stands 80 m high and houses 20,000 people.